Biochar is made by a process called pyrolysis which involves heating biomass, such as wood, in a low oxygen environment with temperatures ranging from 400oC to 800oC. Traditionally it was made in Mound Kilns in woodlands. More recently specific units have being built to make Biochar for soil addition such as the Biochar Engineering Corporation mobile unit. One of Biochar’s secret assets lies in its large surface area of approximately 500 m2 per gram! This is as a result of the micropore formed during pyrolysis. In general the higher the proyltic temperature the larger the surface area of the finished material until it reaches a temperature at which deformation occurs. It is this large surface area that provides a vast protective habitat for beneficial bacteria and fungi in soils where it is applied; a sort of coral reef for Fungi and Bacteria. Another important attribute is the Cation Exchange Capacity (CEC) of Biochar. CEC is a measure of the surface charge in a soil or a Biochar and in basic terms it is the ability of a soil/Biochar to hold onto nutrients. The benefits for soil work both ways as it will absorb nutrients and prevent leaching yet release the nutrients when required. Anybody who has ever grown crops is well aware of the benefits of humus. Unfortunately modern agricultural crop production practices appear to ignore it for the most part. It is estimated that an intensively cropped land may have less than 3% humus, in comparison to native woodland that can be as high as 40%, if it has been relatively undisturbed. Increasing Earthworm numbers following agitation. All these are interrelated in order to have a healthy soil; after all, the soil is living not dead! 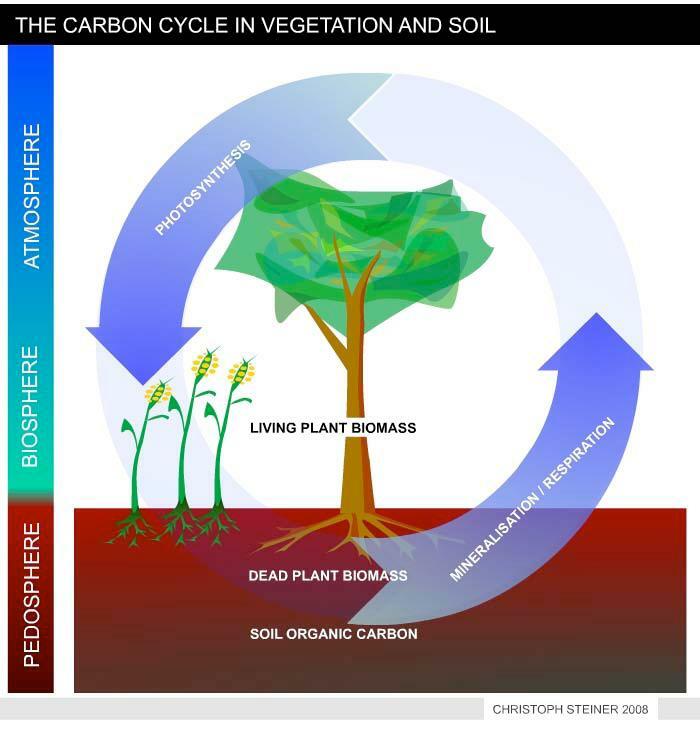 Figure 1 shows a simplified version of the carbon cycle in vegetation and soil. 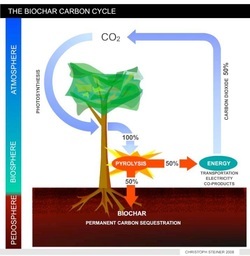 Figure 2 illustrates the manipulated carbon cycle due to biochar carbon sequestration. Biochar is recalcitrant against decomposition and remains in the soil for centuries or millennia. Thus pyrolysis can transfer 50% of the carbon stored in plant tissue from the active to an inactive carbon pool. The remaining 50% of carbon can be used to produces energy and fuels. This enables carbon negative energy generation if re-growing resources are used. (I.e. with each unit if energy produced CO2 is removed from the atmosphere).